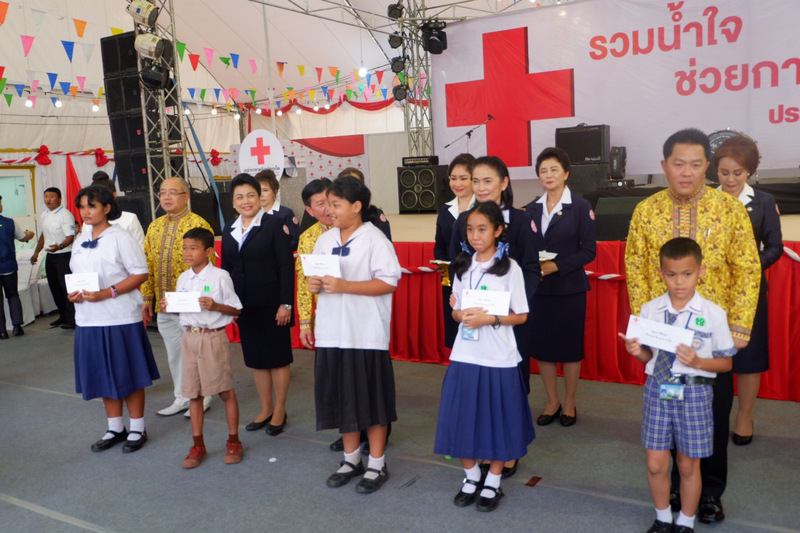 Phuket New Year annual Red Cross Fair is on! PHUKET: The annual Phuket Red Cross Fair is on, with thousands of visitors attending the traditional Thai-style festivities at Saphan Hin each night until Jan 6. 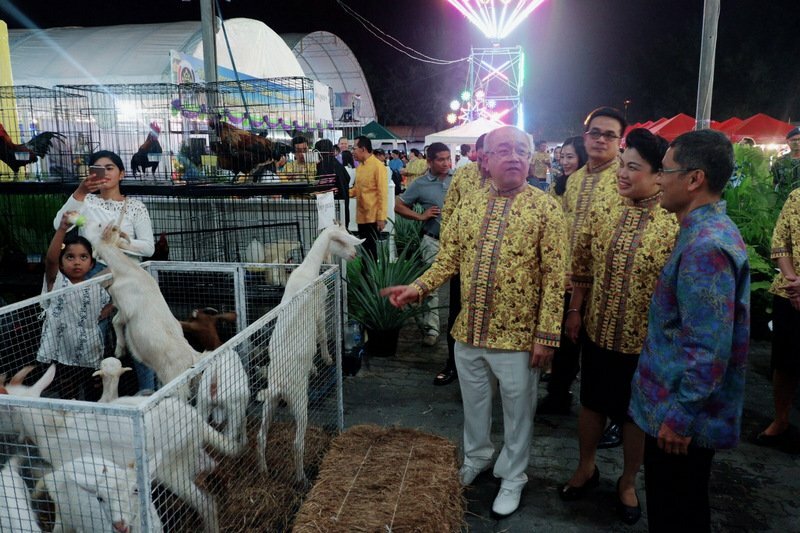 Phuket Governor Phakaphong Tavipatana officially declared the fair open on Thursday night (Dec 27), accompanied by his wife Ms Sitthinee Tavipatana, who as the incumbent Phuket Governor’s wife is currently installed as the President of the Phuket chapter of the Red Cross Society in Thailand. 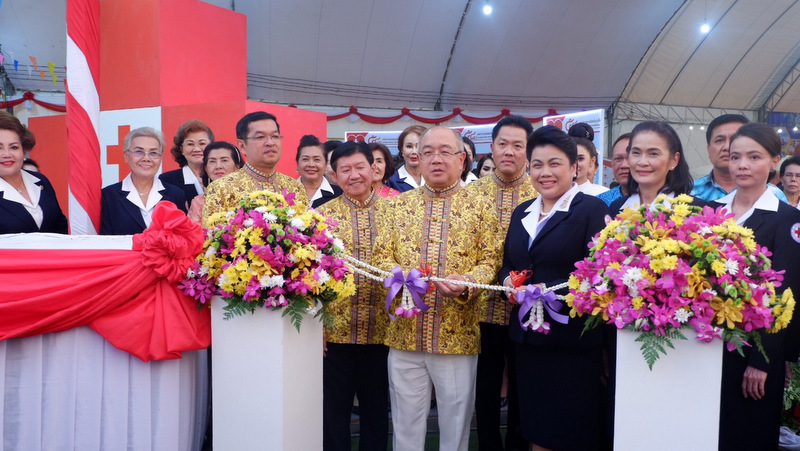 Despite the Red Cross Fair being held at the same venue over the same dates for more than 20 years, Governor Phakaphong noted that the popular fair is now also called the “Phuket Brand Phuket Best Fair”, as well as the “Phuket Gastronomy” Fair, and now includes an “OTOP Marketing Exhibition” as a main element of the fair. Joining Governor Phakaphong and Ms Sitthinee for the official opening were Phuket Vice Governor Prakob Wongmaneerung and Kritipon Vejchakul, Chief of the Provincial Community Development Officer. “The Thai Red Cross Society was established on April 26, 1893 with the main purpose to help in need from natural disasters,” Gov Phakaphong said. “Through support by Her Majesty Queen Sirikit, the Thai Red Cross Society spread throughout Thailand, opening chapters in every province in the country… and it is clear that The Thai Red Cross Society has always been helping people in need all the time. “At this event, many people show their kindness buying lottery tickets that raise money to help people in need,” he said. The top prize in the popular lucky draw at the fair this year is a semi-detached house at The Wish 3 housing estate n Pa Khlok valued at B2.24 million, including air conditioning and a B100,000 gift voucher from SB Furniture. 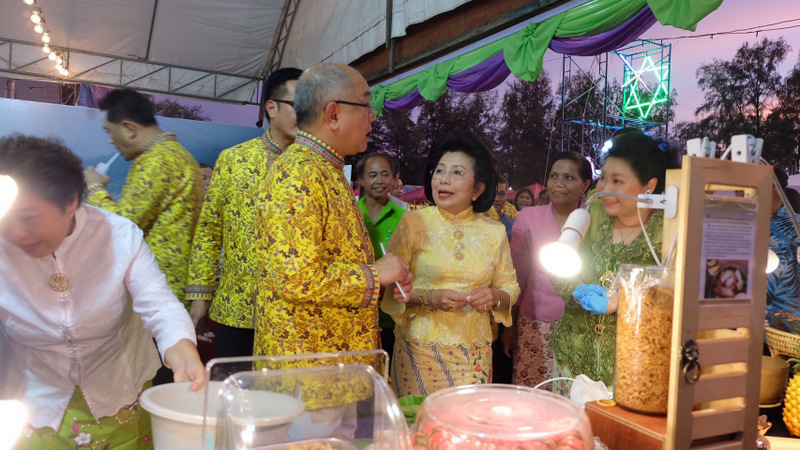 However, Ms Sitthinee pointed out that the fair offers much more than live entertainment and stalls selling local food and delicacies. 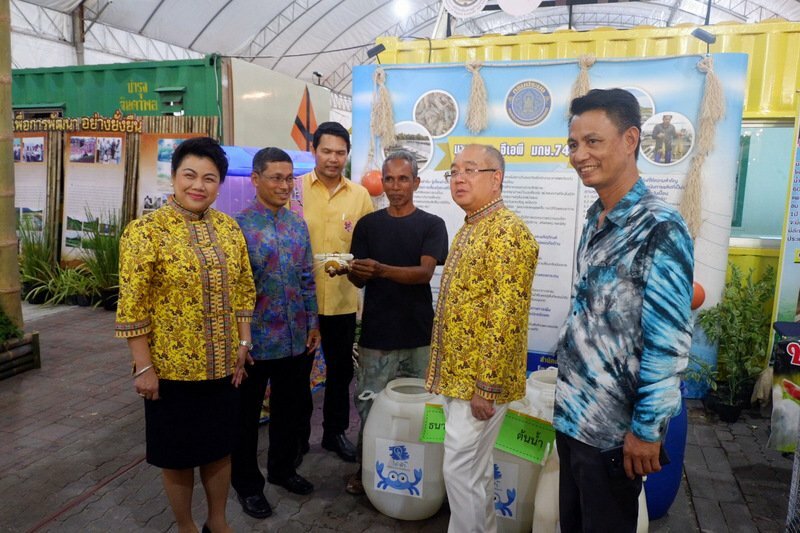 “There are many activities such as the exhibition by the Red Cross of Phuket showing the work they do, giving scholarships to Phuket students, supporting various local product shops, preserving our culture by presenting live performances traditional Thai dance, and the there’s the sale lucky draw tickets. “The income from the sale of these tickets will be used for projects that support people in need, and especially those affected by natural disasters,” Ms Sitthinee explained. 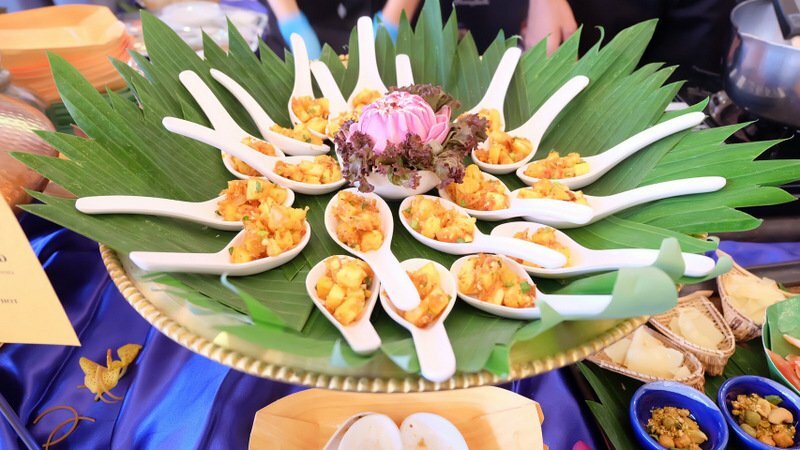 “At the festival this year, there is the OTOP marketing exhibition and the Phuket Gastronomy and Phuket Brand sections to promote Phuket tourism,” she said. 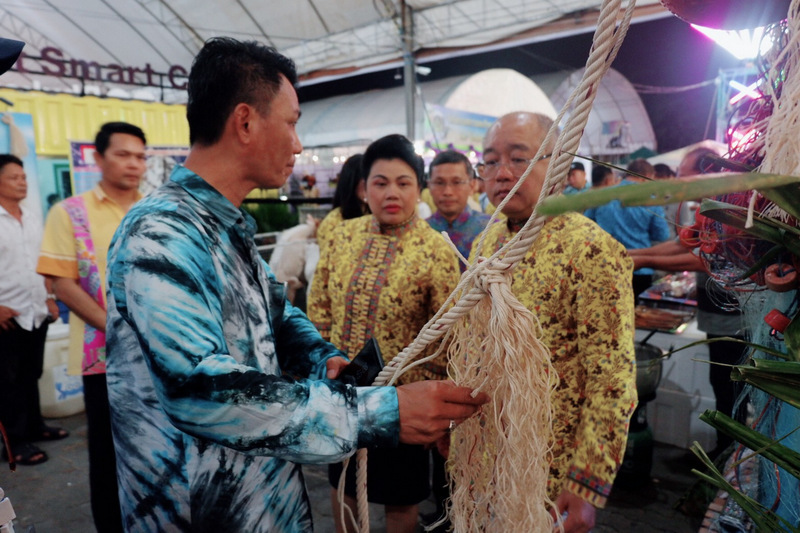 “We have exhibitions highlighting Phuket culture, showing how people lived in Phuket and the traditional dress they wore, and Phuket traditional cultural performances from local people and students, and a singing contest. 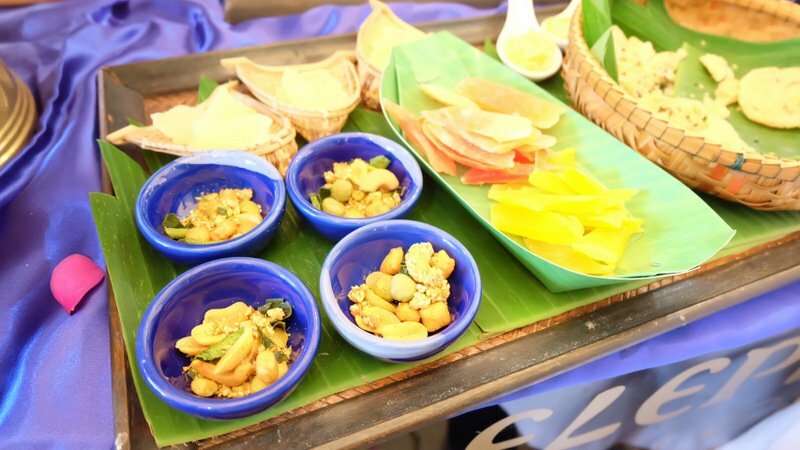 “There are many also stalls showcasing and selling OTOP products and traditional foods, and we have contests for the best Phuket products. This the best pineapple contest, the best sweet coconut contest, local food cooking contest,” Ms Sitthinee added.